The natural progression of dementia in all its forms and stages results in the need for constant care. The amount of supervision and level of care required also varies depending on the stage at which your loved one is, as well as their ability to function. Home care is a viable option for personalized assistance within your own home, but many choose senior housing in San Antonio TX because of its many advantages in terms of socialization and trained care. 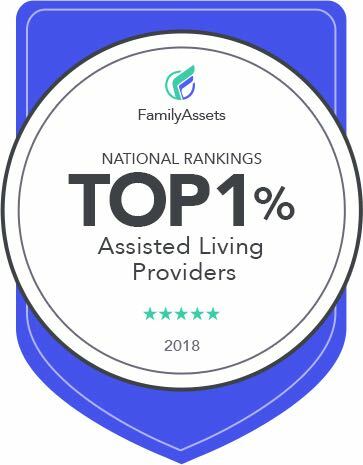 This said, assisted living communities tend to have multiple residents who require different levels of care and supervision, which is why it is critical that you find a senior living San Antonio facility that offers ample staffing ratio that ensures the best care for its residents. Quality of care largely depends on the number of qualified staff that senior housing in San Antonio TX has. Good staff to resident ratio in a memory care home guarantees personalized care and close assistance for each resident at all times. Many horror stories about assisted living facilities with poor living conditions and declining quality of personal care are due to low staffing. When a care home doesn’t have enough trained personnel to attend to the needs of the residents, some of their needs are neglected, making them prone to all kinds of dangers of wandering about without proper supervision. When a senior living San Antonio facility has good staff to resident ratio, residents receive the proper care and assistance they need. This way, their emotional and physical needs can be well provided for. Ample staffing also ensures that each resident receives personalized care, based on their unique requirements. This keeps them feeling comfortable, safe, and well cared for every single day of their stay in the care facility. Only choose senior housing in San Antonio TX that offers high quality of care for your loved one.